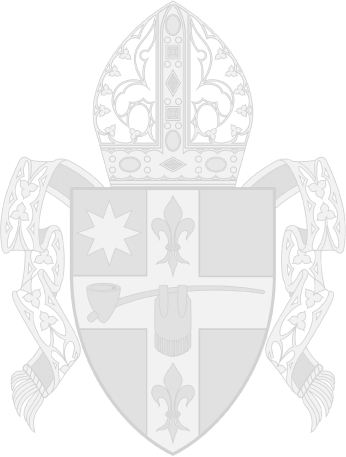 The Office of Divine Worship for the Diocese of Peoria has as its mission, the task of assisting the bishop, whose charge it is to safeguard and promote the liturgical life of the diocese. It is also the mission of this office to foster the relationship of the liturgical life of the parishes by working closely with the priests, deacons and lay faithful of the diocese as a resource of information. The office supports the bishop in his role through the preparation of liturgies celebrated by the people of the diocese (i.e. Ordinations, Chrism Mass, Rite of Election, etc.) and also helps parishes and groups in their celebrations of Episcopal Liturgies (Mass or special prayer services with the bishop). The Office of Divine Worship serves as consultant to parishes, schools, and agencies regarding liturgical needs, questions, liturgical study, liturgical music, special celebrations, ministry formation, retreats and days of reflection, sacramental preparation and rituals. This page contains Diocesan Guidelines & Liturgical Norms, a local Liturgical Calendar, Fasting & Abstinence guidelines, Guides to Catholic Ceremonies, and Manual for liturgical ministries. Other information will be posted as it is needed or developed. If you would like the bishop to offer Mass or to attend an event at the Spalding Pastoral Center, the Spalding Renewal Center or the Cathedral, please contact Laurie Ullrich (lullrich@cdop.org or 309-671-1550). Laurie can arrange the Bishop’s participation, but she cannot guarantee meeting or chapel space. Laurie can guarantee Mass at the Cathedral WHEN THE BISHOP presides. Deacon Rick Miller (309-676-5587) in the Spalding Renewal Center to reserve the Our Lady of Perpetual Help Chapel (groups up to 140) or Andew Hagemann/Julie Small in the Spalding Pastoral Center to reserve the Crypt Chapel of the Holy Sepulcher (groups up to 40). Because the TEC/Cursillo programs have priority in these chapels, even Masses with the Bishop must be reserved separately. If your event includes Mass at the Cathedral WITH the Bishop, Laurie Ullrich will schedule the use of the Cathedral. Conference Room Space: If you require meeting space in the Spalding Pastoral Center, these rooms are reserved entirely separately. Please contact Andrew Hageman (ahagemann@cdop.org) or Julie Small (jsmall@cdop.org) or 309-671-1550. Andrew and Julie can provide information about various rooms that are available, arrange catering, and any other needs you might have. They do not reserve any of the chapels or the Cathedral. Masses are NOT to be offered in the Spalding Conference rooms. If your event includes Mass, please make this a priority and schedule the chapel space before scheduling the conference rooms. These booklets are designed for those lay men and women who are, or would like to become Extraordinary Ministers of Holy Communion, Lectors and/or Sacristans. The Affidavit for Serving as an Extraordinary Ministry of Holy Communion that must be completed by the pastor is available in both English and Spanish in forms under Divine Worship. Information pertaining to scheduling Confirmation may be found in the forms section under Divine Worship. (commonly known as Confession or Reconciliation). to each group in an age-appropriate manner. The Adult version is also available in Spanish. The Congregation for Divine Worship and the Discipline of the Sacraments has confirmed the English translation of the Order of Celebrating Matrimony, Second Edition (OCM), with a recognitio decree dated June 29, 2015 (Prot. n. 84/14). At present, the Secretariat for Divine Worship is engaged with a standard review to resolve any issues that are commonly addressed with new liturgical translations. Following this process, Archbishop Joseph E. Kurtz, USCCB President, will issue a decree of publication establishing the implementation date. The button below will lead you to a review of the changes (CDWDS Confirms Order of Celebrating Matrimony) provided by Msgr. Stanley Deptula. For additional information about the new Rite of Marriage that took effect this Fall 2016, please visit USCCB.org. Bishop Jenky recently received a copy of the Instruction from the Congregation for the Doctrine of the Faith re-affirming the permission for Catholics to be cremated and strongly restating the importance that cremated remains must be given Christian burial. The full text of the instruction is available through the link below. Bishop Jenky also addressed this topic in his 2008 Festival Letter and a separate pastoral letter on death. Monsignor Brian K. Brownsey, Pastor of St. Mark Church and Chaplain/Director of the St. Joseph Chapel and Newman Foundation at Bradley University in Peoria, Illinois, offers a detailed explanation of the Mass during the annual New Teacher Orientation held at the Spalding Pastoral Center in August 2016. The videos are broken out in 8 segments below. This is a wonderful source for anyone wanting to explore or understand more deeply the wonderful gift of Holy Mass instituted by our Lord at the Last Supper.